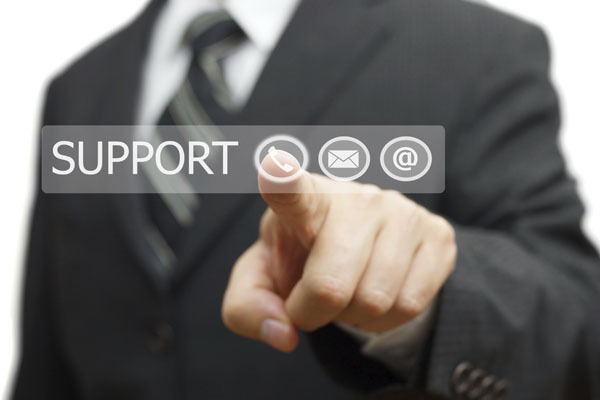 NECS provides First Priority 24/7/365 technical support for its valued customers to ensure that you always have the support when you need it. Our First Priority 24/7/365 plan provides Emergency After Hours Support, including weekends and holidays, with an NECS technical support specialist. Looking for frequently asked questions or errors? Check our FAQ by clicking here. • Customers already signed up for First Priority 24/7/365 Support should simply call the special after hours phone number they received when they signed up for this service. Calling this number will connect you to the technical support representative on duty. Option 2: You currently are on Software Maintenance but would like a one time after hours support call*. • Customers current on Software Maintenance, but not on First Priority Support and needing Emergency After Hours Support, will need to pay a one-time fee of $650 which is good for ONE after hours support call. This fee must be paid with a credit card. • This will also sign you up for regular software maintenance and you will have to pay the pro-rated which will be for the remainder of the current quarters software maintenance. • This will also sign you up for ongoing After Hours 24 hour support which is $300/month billed quarterly. You will receive a pro-rated invoice which will be for the remainder of the current quarters After Hours software maintenance. • You must also pay any past due amounts. You will receive an email from our office with these outstanding invoices. *Please note this After Hours support is for Emergencies only. *The technician on call will make every effort to resolve your issue at the time of your call. However, sometimes an issue may require attention from a program developer. In this situation, the tech on call will make this decision after they have exhausted all of their options. The tech will then bring the issue to the program developer first thing the following business day.